Scamper shown in a 1978 Lagoon brochure. 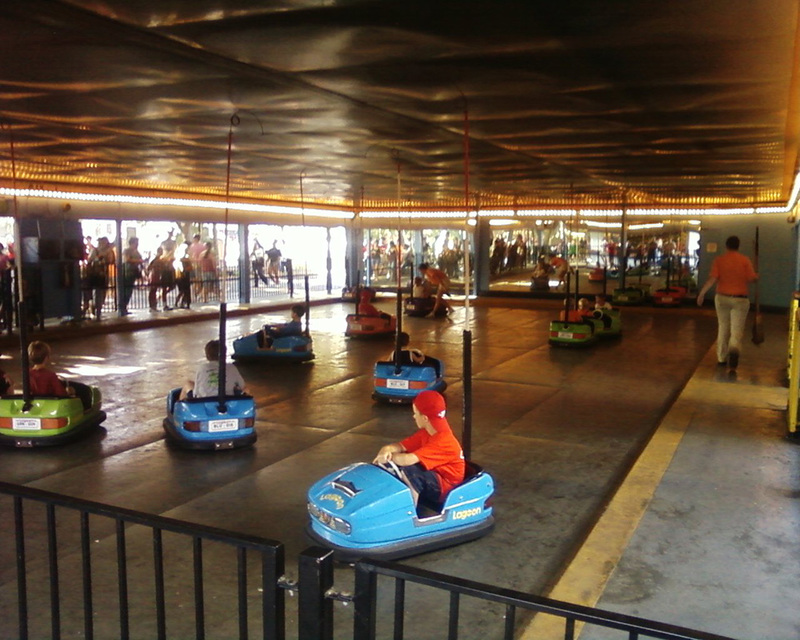 Scamper is a bumper car ride made especially for small children. Upon opening, it was the first new ride added to Mother Gooseland in thirteen years. 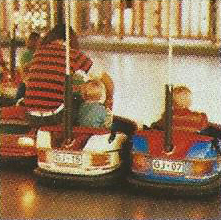 The cars were manufactured by the same company as those used for Boomerang. But unlike the cars at Boomerang, these don’t have pedals; the speed and direction is all controlled with the steering wheel. Both Scamper and Boomerang opened in 1977 to replace the previous Auto Skooter ride which was in the building Scamper is now. 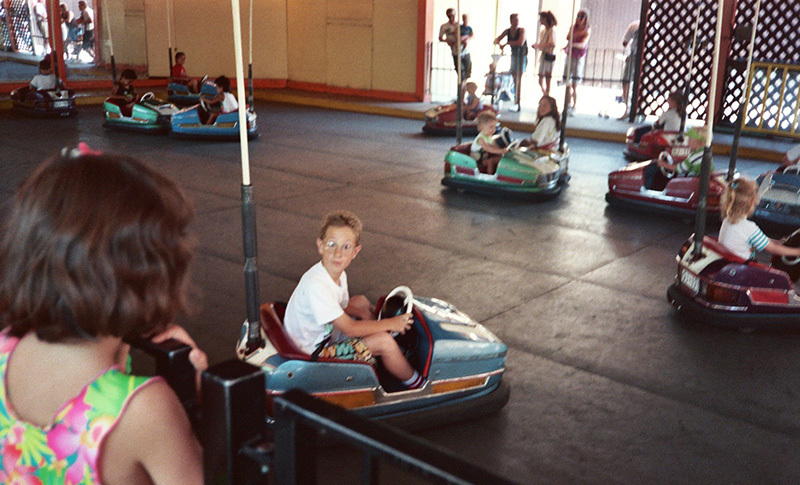 Before the Auto Skooter, the building was home to the Dodgem Hall. For many years now, Scamper has closed early each season to accommodate the Spook-A-Boo Walk-Thru during Frightmares where kids can go trick or treating in rooms with different themes. Lagoon newspaper advertisements. Deseret News, Apr 1977. Chronological Order Of Attractions At Lagoon. Lagoon Press Kit, 2011.